There are only 800 mountain Gorillas left in the whole world. In the forested depths of eastern Congo lies Virunga National Park, one of the most bio-diverse places on Earth and home to the planet’s last remaining mountain gorillas. In this wild, but enchanted environment, a small and embattled team of park rangers - including an ex-child soldier turned ranger, a caretaker of orphan gorillas and a dedicated conservationist - protect this UNESCO world heritage site from armed militia, poachers and the dark forces struggling to control Congo's rich natural resources. When the newly formed M23 rebel group declares war, a new conflict threatens the lives and stability of everyone and everything they've worked so hard to protect, with the filmmakers and the film’s participants caught in the crossfire. 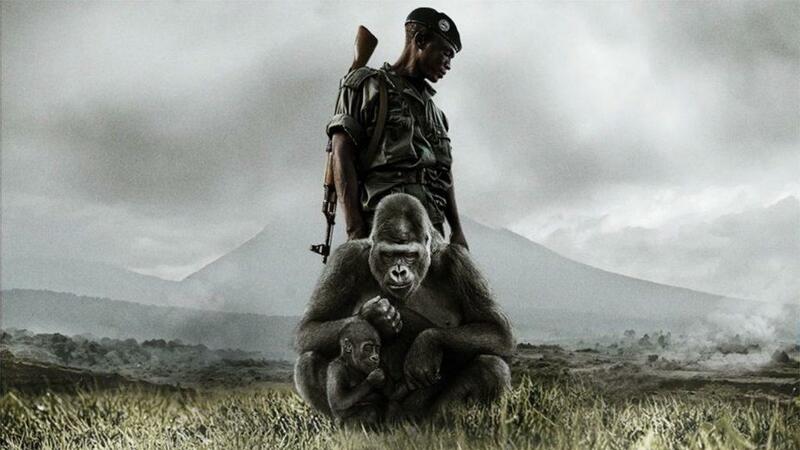 A powerful combination of investigative journalism and nature documentary, VIRUNGA is the incredible true story of a group of courageous people risking their lives to build a better future in a part of Africa the world’s forgotten, and a gripping exposé of the realities of life in the Congo. From director Orlando von Einsiedel and executive producer Leonardo DiCaprio.